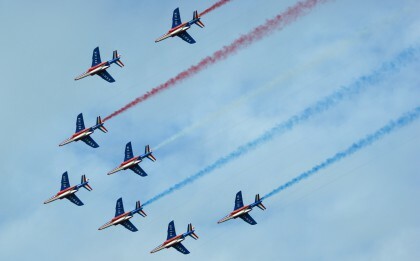 Patrouille de France - PLANESPOTTING.EU. 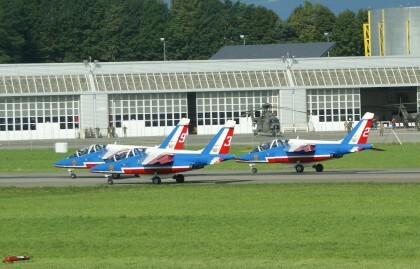 Patrouille de France precision aerobatic demonstration team of the French Air Force. Originating in 1931, it is the world’s oldest and one of the most skilled demonstration teams. Pilots currently fly the Dassault/Dornier Alpha Jet.